" A dog is an animal with an enormous sexual appetite which can’t be controlled " sure .... that's why there have many methods consist in artificial ways to stop dogs inborn character like castration or meds are going against the nature laws. 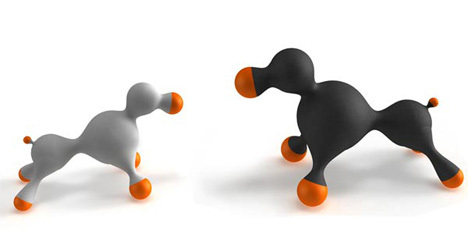 And ons of that method is Hotdoll, a natural (and beneficial for dog’s health) way to control its sexual impulses. 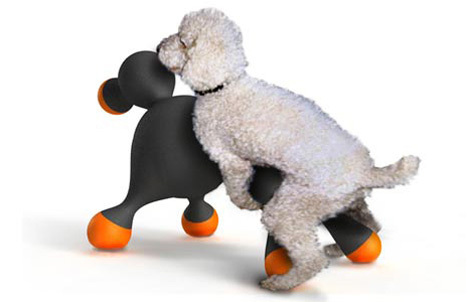 This love doll for dogs by Clement Eloy is shaped to be grabbed easily by the dog’s paws like female hips. 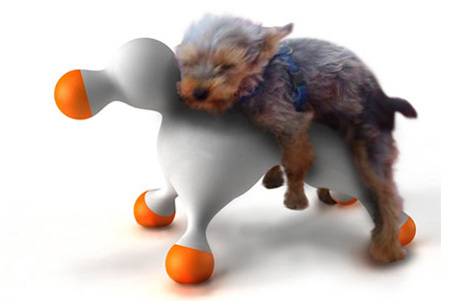 Hotdoll is designed in 2 sizes to be used by little dogs and by big ones! Its contrasted colors are made to be easily distinguished by dog’s eyes. The body is made by a plastic structure covered with a 1 cm technogel skin to create a soft touch. All orange parts are made of rubber, that way the doll grips on the floor. The pink hole needs to be washed regularly for hygienic reasons. It has 2 sizes only, then huge dog has no toy for pleasure lol ?